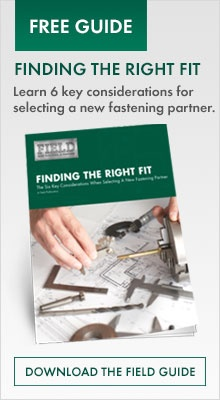 Why would someone in HR or IT or Accounting need to know about fasteners? Well, at Field, we want all of our team members to have, at a minimum, a basic understanding of fasteners and fastening even in those functional areas that do not deal with fasteners on a regular basis because that is the business Field is in. For positions in sales, engineering, account management, sourcing, quoting, quality, receiving, shipping, and VMI the need for more depth of knowledge is much greater. Ultimately, Field wants its team members to be committed to being part of the Field Team . 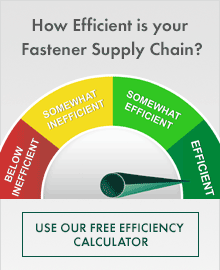 . . a team of fastener experts whose goal is to provide our customers with the right fasteners and the best fastening solutions that contribute to our customers’ overall success. We take training very seriously and we believe that by educating our team members, we are better equipping them to be empowered to make sound business decisions. Team members are engaged in a minimum four week training in our quality lab shortly after they begin their employment with Field. It is here that they begin to understand our processes and our product. They learn to read blueprints, measure parts, and determine if parts meet customer specifications. Even if someone is not mechanically inclined, they are able to gain an understanding of nomenclature, ISO standards, and how to navigate through our operating system as a result of our fastener training. Participation in cross-functional project teams, additional technical training sessions, and new customer implementations add to the technical knowledge base of our team members. To further our fastener training efforts, there are some twenty courses in Field University that are available in-house for team members to continue their fastener education. Developed by our engineering team, Field University presents participants with training from basic fastener types to fastener finishes to fastening plastics to hydrogen embrittlement. Courses are taught by engineering team members and tests are taken to validate the learning. Certificates are awarded for completing increasingly more complex courses. These courses are also offered to our customers who are interested in learning more about fasteners and fastening. The desired outcome of all this emphasis on fastener training for our team members is to provide our customers with a level of technical expertise that results in great service and enables Field to assist our customers in being successful. This technical support offered to our customers, also attracts other companies to Field because their current fastener suppliers simply do not offer the same level of fastener and fastening solutions and technical expertise provided by a well-trained Field team.